Roland has over 30 years experience in industrial training, facilitation, consulting and addressing both corporations and associations. He has worked with varied clients from the scientific community to service industries including high tech, public and private sectors and not for profit organizations. Roland has worked in Canada, Europe, Asia and throughout the United States. He has acted as special consultant and training specialist for the development and introduction of new policies and management practices. Furthermore Roland has extensive experience in the design and delivery of specially tailored and adapted organizational change initiatives. The nature of the accelerated learning Roland offers expands the thought horizons for most individuals, exposing them to new, and often challenging concepts and behaviours that support their professional growth and consequently, their training and expertise is maximized. He believes in providing learning opportunities that address personal growth integrated with organizational development. Learning from the “inside out” permits people to access their inner strengths and qualities and thus knowingly contribute to the well-being of the people and environment in which they work. Roland tailors his interventions to suit the client, from “everyone in the room at the same time” to customized classroom interventions. Roland Marcoux is a strategic, big-picture, no-nonsense, task oriented team player. He understands the importance of including people in developmental initiatives, the need for innovative and effective communication and problem-solving strategies. His knowledge, combined with broad practical experience and useful humor adds value and depth to all initiatives. He has strong oral presentation skills in both English and French. 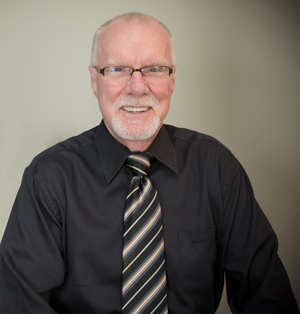 Roland Marcoux has a Bachelor of Science from the University of Minnesota with a specialization in adult education. He has studied at St Francis Xavier University, Nova Scotia focusing on how to establish and realize learning objectives for adult education and training. He was a Sessional Lecturer at Carleton University in Ottawa, School of Business Management. He taught skills in Project Management, Problem Solving – Decision Making, Facilitation Skills and Strategic Thinking and Planning. He is presently a Sessional Lecturer at The University of Winnipeg.